Integrated Chinese character workbook provides writing practice for all characters found in the Integrated Chinese third edition textbook. Both traditional and simplified characters are included on the same page and appear in the same order as in the textbook. Each character also includes pinyin pronunciation and English definitions, its radical highlighted, and clear, step-by-step stroke order with practice squares that include guide lines to help students balance characters correctly. Includes two indexes, one arranged alphabetically and one by lesson. Integrated Chinese is already the leading introductory Chinese textbook at colleges and universities around the world. The third edition has been significantly updated to meet the needs of today's students with a full-color design, fewer lessons in Level 1 to allow for more flexible pacing, more communicative activities, up-to-date vocabulary, expanded cultural notes, an exciting new storyline linking all the dialogues and readings, and more review sections.The series provides coordinated practice in the four skills of listening, speaking, reading, and writing. 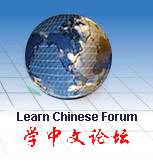 Throughout the series, Integrated Chinese builds on the three modes of communication - interpretive, interpersonal, and presentational - and ACTFL's "Five Cs"—Communication, Culture, Connections, Comparisons, and Communities—to build proficiency in using the Chinese language in a variety of real-life situations. With its emphasis on practicing a broad range of written and verbal communication skills and building cultural understanding, Integrated Chinese is ideally suited for students who want a comprehensive grounding in the Chinese language.